Mob films usually end with the tragedy of the main character's fall from grace. Can games accomplish that emotional effect? Most videogames are about the triumph of the main character. The feeling of euphoria felt when completing the story is akin to the conclusion of a feel-good sports movie or a romantic comedy where everyone is happy at the end. The Grand Theft Auto series is no different. Each game ends with the main character feeling as if he has really accomplished his life goals. That is, until the most recent installment, as Brendan Main discusses in issue 228 of The Escapist. In most games of the series, the carnage is endorsed by a protagonist willing to "play the game" and cash in on this chaotic life of crime. Grand Theft Auto 3's speechless Claude is your standard videogame cipher, willing to do any mission without complaint or comment. Vice City's Tommy Vercetti is ruthless and unforgiving, willing to do anything it takes to be the biggest and the best. Even San Andreas' CJ, though troubled by his mother's death, quickly finds his way back to the petty gang squabbles of thug life. Though their positions and philosophies are quite different, all these men want in. But Niko Bellic wants out. 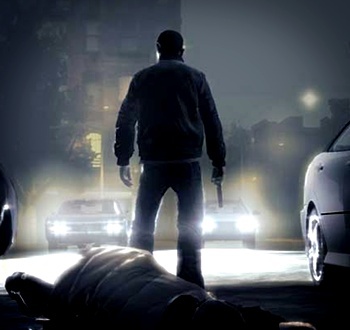 Does the story of Niko Bellic from Grand Theft Auto 4 channel the tragedy of Micheal Corleone, Tony Montana or Henry Hill? Check out the rest of Fall of the House of Bellic to find out.